Credit: Schmidt Ocean Institute. Download this image (JPG, 175 KB). 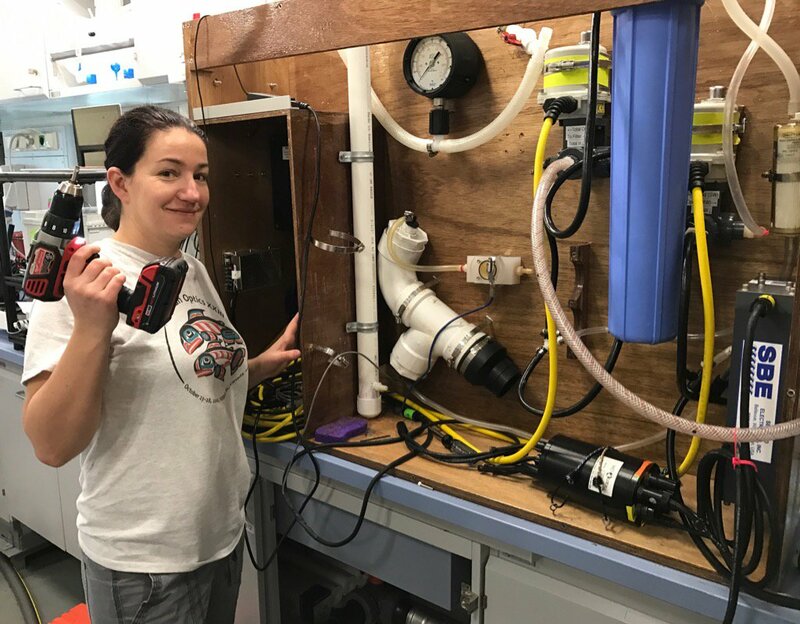 [27-Jan-17] Chief Scientist Ivona Cetinic sets up flow-through on the R/V Falkor for Schmidt Ocean Institute's Sea to Space Particle Investigation.